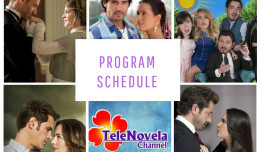 In the Name of Love: Episode 33 | TeleNovela Channel - Bringing you closer to lifes drama. Now that another adversary has been eliminated, Carlota permits Paloma to go out on a date with Aaron but hopes he’ll never force her to make another sacrifice. Meantime, Rafael and Diana split up while German notices that Emiliano is in love with Paloma.